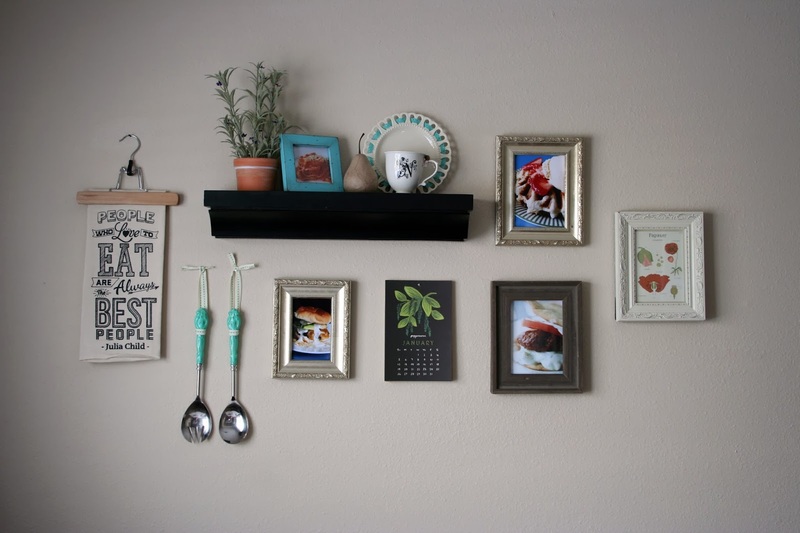 To switch things up a bit, I want to post about my new kitchen gallery wall my husband and I hung up last month. For this gallery wall, I wanted some more texture and dimension so I hung more than just frames. I want to give just a brief description of everything I used and where you can still purchase some of these items. 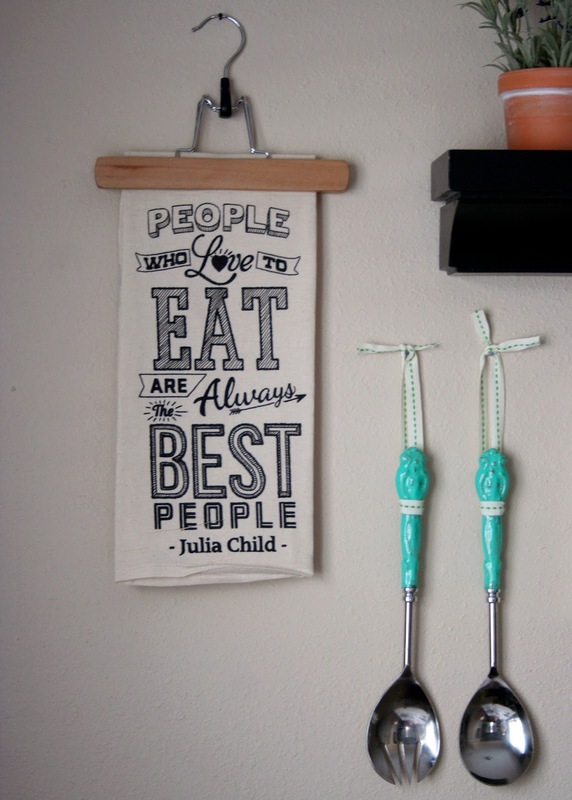 I absolutely love this quote by Julia Child. I find it completely true and hilarious. I wanted a print to frame, but couldn't find one I liked well enough. This tea towel I found on Etsy was perfect though. That serving set is from good old Antrhopologie. Jordan got it for me last year for Valentine's Day and I've always wanted to display it somehow. It's too pretty not to. I found some cute ribbon at Target, wrapped it around the handles and tied a knot over each nail. Easy peasy. Sadly they are no longer available, but I think this set is just as dreamy. 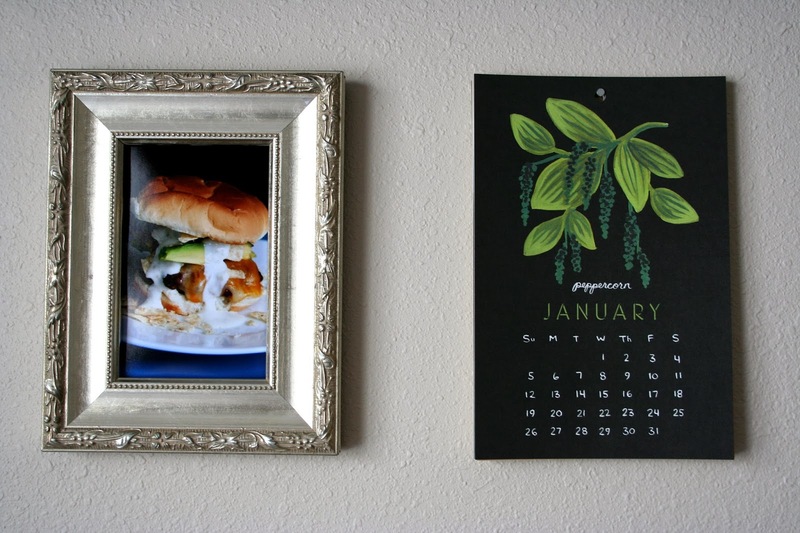 I have always wanted to display some of my food photography and took full advantage. This hamburger print is of this yummy recipe. My sister gave me this 2014 Rifle Paper Co. Herb and Spices Calendar for my birthday and of course I'm in love with it. Don't worry, it's only February and you could honestly use it every year. This shelf holds some random yet cute decor that I've had for quite a while. 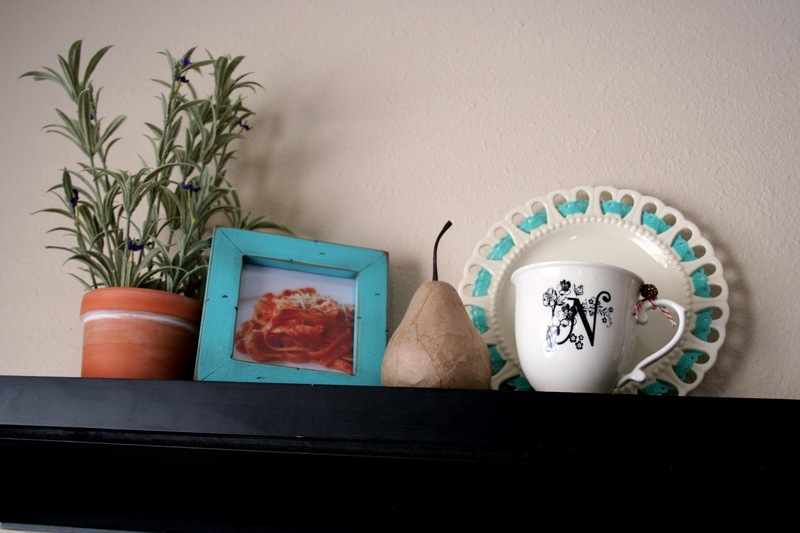 The fake plant is from Kohl's, the picture frame holds a photo of my beloved Roasted Red Pepper Alfredo, the pear is from Michael's, the teacup is from Anthropologie years ago and the plate is from T.J. Maxx with some Target ribbon weaved through. 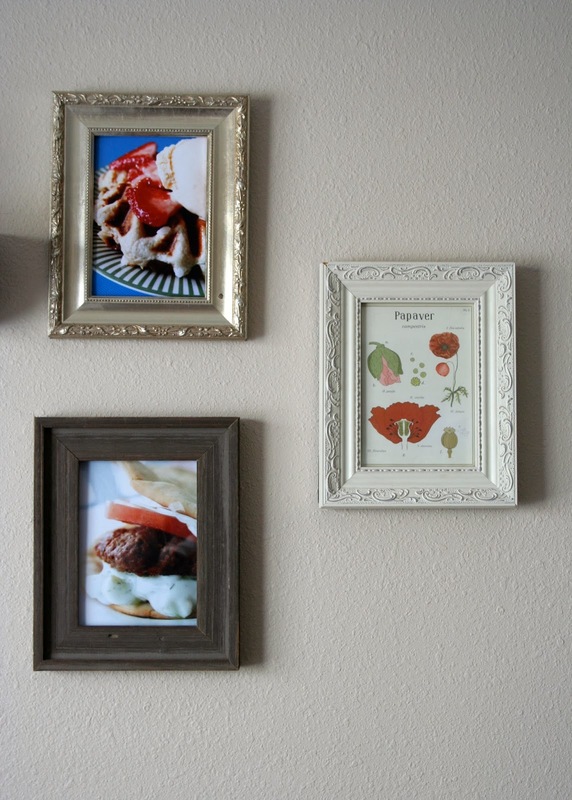 Lastly, I hung up a photo of my Belgian Cinnamon Liege Waffles, Burger Gyros and a flower print from IKEA in some old frames. Overall, I love the way the wall turned out and how it fills up the space so well. I love the towel and that's a really cute way to display it!